German rabbi; flourished about 1240. He was considered the most eminent pupil of Eleazar of Worms. 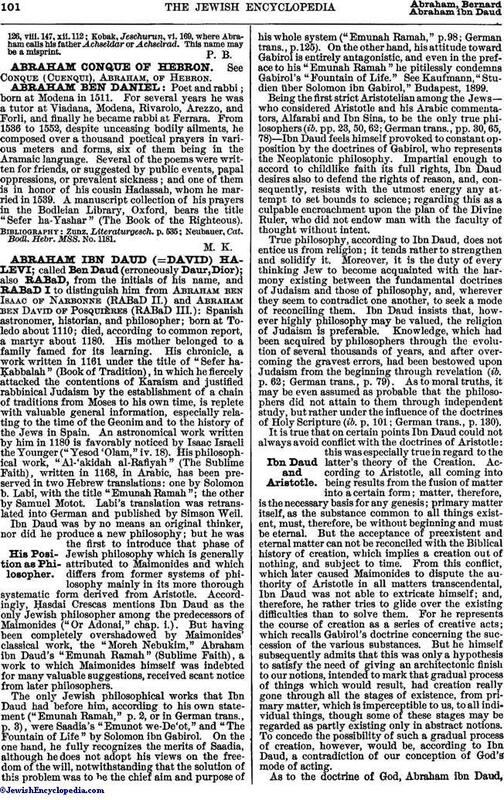 Solomon ben Adret relates ("Teshubot," i. No. 548) that he saw Abraham when he came to the king of Castile, probably Ferdinand II. (the Saint). On this occasion Abraham assumed the name of Nathan to conceal his identity. Adret also claims to have heard from an old man that Abraham of Cologne preached on Num. vii. 1, in the house of Adret's father before a great many eminent rabbis, and displayed much erudition. 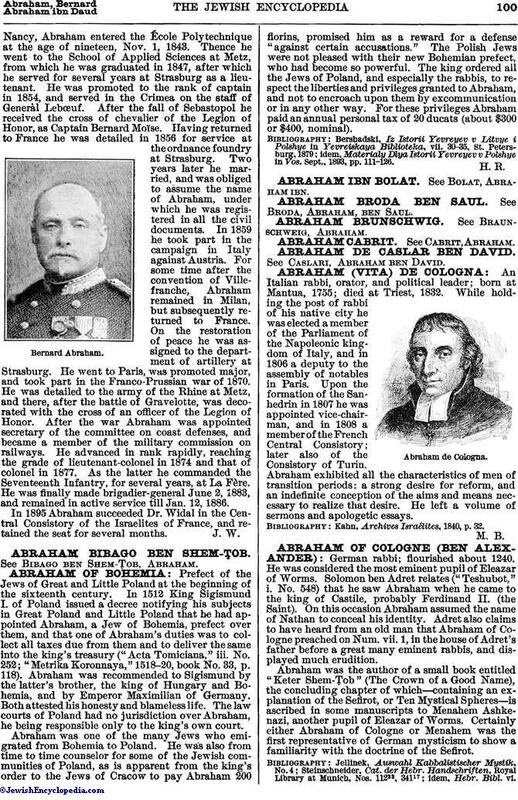 Abraham was the author of a small book entitled "Keter Shem-Ṭob" (The Crown of a Good Name), the concluding chapter of which—containing an explanation of the Sefirot, or Ten Mystical Spheres—is ascribed in some manuscripts to Menahem Ashkenazi, another pupil of Eleazar of Worms. Certainly either Abraham of Cologne or Menahem was the first representative of German mysticism to show a familiarity with the doctrine of the Sefirot. Kobak, Jeschurun, vi. 169, where Abraham calls his father Achseldar or Achselrad. This name may be a misprint.